A 1967 Laphroaig, bottled as a 15-year-old by Italian bottler Samaroli, has broken records after selling for £61,000 at auction this week. The 15-year-old whisky, matured in an ex-Sherry cask and one of only 720 bottles in the world, was produced by Italian independent bottler Samaroli. Silvano Samaroli, who passed away in February last year, had also signed the bottle, making the item a ‘one of a kind whisky collectable’. The sale, held on online auction website whiskyauctioneer.com, broke the previous record for a similar bottling which sold for £5,700 at auction in 2014. ‘Chances are few and far between to not only get a hold of this whisky widely regarded as incomparable in taste, but with the added uniqueness of the bottle being signed by the legendary Silvano Samaroli himself,’ said Sean McGlone, director at whiskyauctioneer.com. Over 65 bids were placed on the bottle from around the world, with the successful bidder coming from Germany. 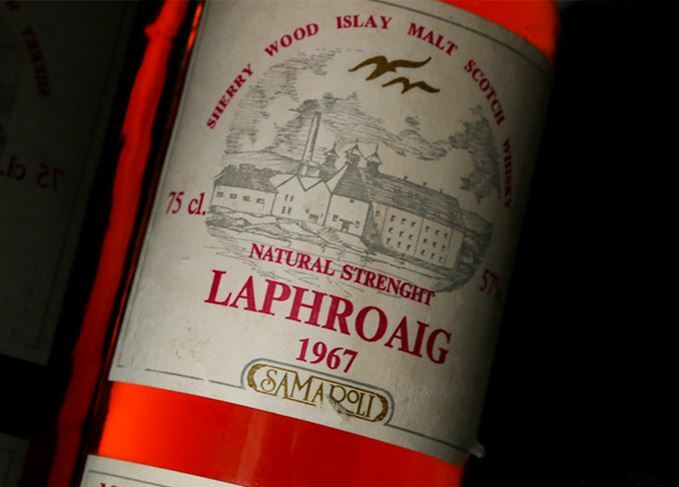 The sale of the Laphroaig 1967 follows last month’s record-breaking auction of another Samaroli bottling, a Bowmore 1966 Bouquet, which sold for £51,611. The revered independent bottler will be remembered as a ‘legend’ of the whisky world. Samaroli was known for his ‘legendary’ bottlings, which are among the most coveted in the world. The distillery will be sharing every bottle of its new malt with whisky lovers, without charge. The 62-year-old single malt is the most expensive bottle of whisky auctioned by Christie’s.